Do you remember Murphy’s law? It successfully stipulates that if something can go wrong then it probably will. Things going complicated is a true fact of life that we all have to bear while living one. However, when it comes to event planning, a perfectionist event planning manager will always hope to nullify Murphy’s Law. He/she will identify the capability of various things to go haywire and plan everything accordingly. If you are an event manager, you are either aware of this. It’s your sole responsibility to ensure that when it comes to event management, you must organize one for your client smoothly with minimum hitches. The first impression matters everywhere and it is even the same for event planning. You need to create such an environment in the event that it seems to be absolutely warm, welcoming, and stimulating for guests. And such an impression always comes from sights, smells, tastes, sounds, and touch. One of the smartest event planning tips is to let the guests feel comfortable. Whether it is a subtle aspect like background music or friendliness of the welcoming crew, everything should be taken care of. However, event planners organize an event without prioritizing such facets and that’s when they fail. Although, you might have spent weeks or months negotiating with your suppliers, it is necessary to come to a mutual decision with them. Event managers sometimes commit this mistake of not having a final communication with them. They don’t cross-check with vendors 48 hours prior to set up time for ensuring that there are no delays. It is one of the biggest event planning mistakes to avoid. 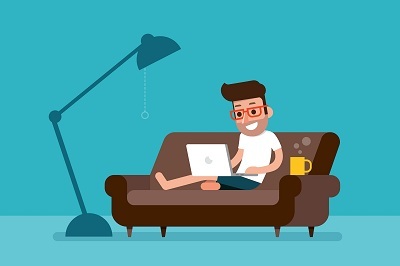 Make sure that you are having a verbal or email confirmation with them and documenting the agreed costs, delivery instructions, delivery time and duration. 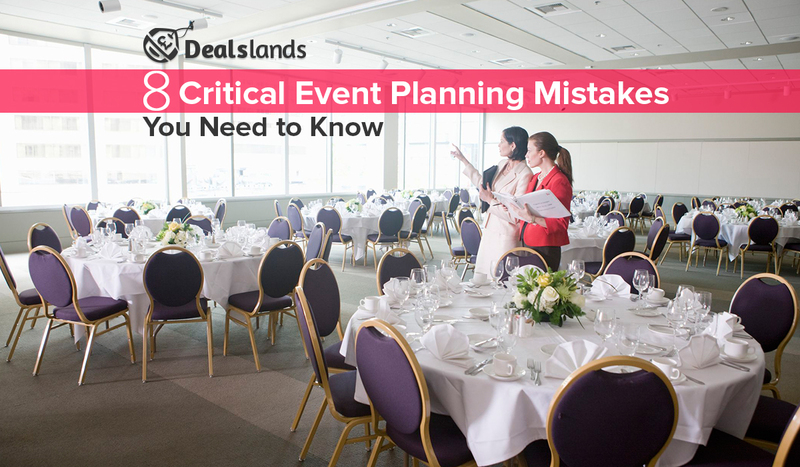 It is one of the common event planning mistakes that event planners commit. The transportation that they organize for delegates and presenters often don’t end up to be adequate enough. You need to check in during the weeks leading up to your event, and even on the day when the event is planned, that there’s no inadequacy in terms of transportation. Always keep in mind that you should have a contingency plan in your mind. In case the vehicle breaks down at the last moment or there’s any other sort of issue, an alternative plan must be ready. Of course, on the day of a special event, you will have to deal with a huge number of guests. However, not every event manager understands that and he/she finally ends up relying on just one or two members to deal with delegates. You should not accomplish this mistake and make sure that there’s a significant headcount of attendees to serve guests. When it comes to the scenario of how to plan an event perfectly, this mistake must be avoided to let everything go in a smooth way. There can be nothing more harassing for guests in an event other than getting confused about when and where the next function/presentation is being held. However, this comes up as a major problem in a maximum of events. Make sure you are displaying adequate signage that is easy to follow and read both. You can sometimes go overboard and have too many signage but never risk attendees being lost and constantly looking for the right directions. Similar to maintaining pre-event communication, it’s necessary that you follow up with attendees. Many event managers don’t provide guests with any recap or access to essential content during an event. This is where they commit a serious mistake and guests end up feeling ignored. You can keep this in mind. And above that, make sure to even surprise attendees with bonus content as a part of the recap. If it fits well, you can ask for feedback from them to gather information on where you can make changes and improve yourself. Always remember that people don’t forget the ending. However, many event planners don’t realize that and open all of their cards in the very beginning. Remember, you need to make the conclusion of your event count. Plan your event program similar to how a brand puts up a concert setlist. Just like the way they don’t play all the hits at the very beginning, save your ‘wow factors’ for the last. This will end up letting your guests leave the event with a positive vibe and energy about you. Any event can’t be successful without good food and catering service. Still, there are many events which lag behind in this aspect and there’s no special care given to this feature. You shouldn’t follow this mistake and rather ensure that there are some delicious and nourishing options on the menu. You must instruct the catering team very well to adhere to the freshness of the food and also a specific schedule of serving the same to ensure that the process is flawless. Planning to manage an event soon? Don’t forget to keep the aforementioned mistakes in your mind which event planners often end up doing and you can finish off smoothly handling even an event of the highest budget.